Speech perception difficulties are common among elderlies; yet the underlying neural mechanisms are still poorly understood. New empirical evidence suggesting that brain senescence may be an important contributor to these difficulties has challenged the traditional view that peripheral hearing loss was the main factor in the etiology of these difficulties. 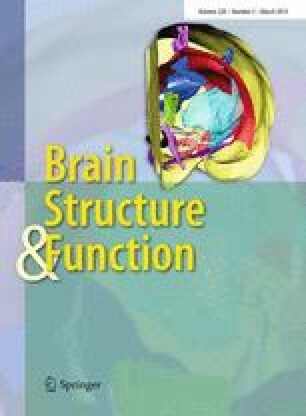 Here, we investigated the relationship between structural and functional brain senescence and speech perception skills in aging. Following audiometric evaluations, participants underwent MRI while performing a speech perception task at different intelligibility levels. As expected, with age speech perception declined, even after controlling for hearing sensitivity using an audiological measure (pure tone averages), and a bioacoustical measure (DPOAEs recordings). Our results reveal that the core speech network, centered on the supratemporal cortex and ventral motor areas bilaterally, decreased in spatial extent in older adults. Importantly, our results also show that speech skills in aging are affected by changes in cortical thickness and in brain functioning. Age-independent intelligibility effects were found in several motor and premotor areas, including the left ventral premotor cortex and the right supplementary motor area (SMA). Age-dependent intelligibility effects were also found, mainly in sensorimotor cortical areas, and in the left dorsal anterior insula. In this region, changes in BOLD signal modulated the relationship between age and speech perception skills suggesting a role for this region in maintaining speech perception in older ages. These results provide important new insights into the neurobiology of speech perception in aging. The online version of this article (doi: 10.1007/s00429-013-0695-3) contains supplementary material, which is available to authorized users. This study was supported by the “Institut Universitaire en Santé Mentale de Québec”, Quebec City, and by the “Fonds de la Recherche du Québec Société-Culture” (FRQ-SC). Technical support was provided by the “Consortium d’imagerie en neuroscience et santé mentale de Québec” (CINQ) for protocol development and MRI data acquisition.